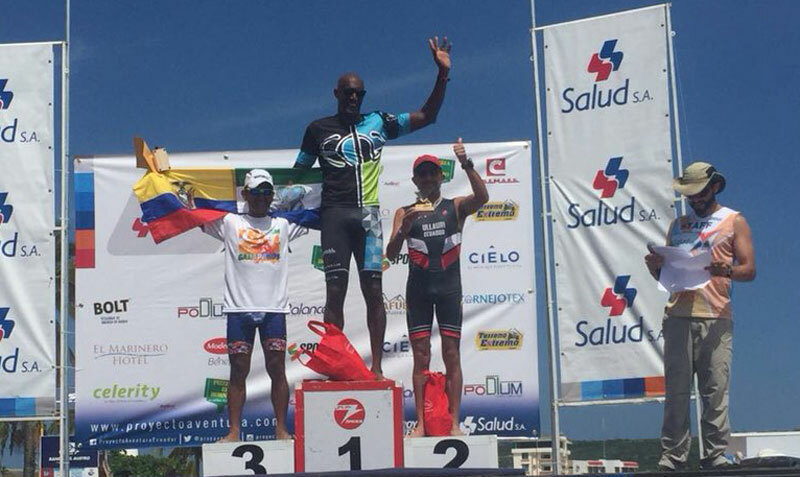 Bermudian triathlete Kent Richardson finished on top of the podium on Saturday [Feb 24], winning the Men’s 50+ age group at the 2018 Saludsa Xterra in Salinas, Ecuador. His time of 1:31:40 not only saw him win the over 50 category, but was also faster than anyone competing in the over 40 category as well. He finished the 800m swim in a time of 16 minutes and 19 seconds, the 16km cycling portion in 39 minutes and 37 seconds, and the 5km running segment in 33 minutes and 56 seconds. Well done, Kent! You are amazing. Your dedication and passion are admirable.